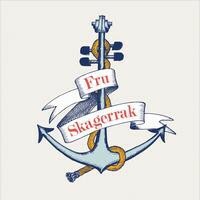 Produktinformationen "Fru Skagerrak - Same CD"
They play "Scandinavian Raw Folk", and their repertoire consiste of music and songs picked evenly between the rich music and song traditions in Scandinavia, as well the members' own compositions. The name means "Lady Skagerrak" - "Skagerrak" is the sea that connects Denmark, Sweden and Norway, and it has had a great influence on Scandinavia's shared history and culture. 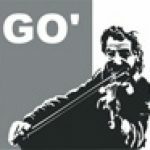 The love of the music from around Skagerrak brought these three master musicians together, and they want to express their kinship through their music. The trio first played together in sessions at the backstage bar at Denmark's biggest folk festival, Tønder Festival, in 2011. After three more Tønder Festivals and numerous sessions, Fru Skagerrak was officially formed in August 2014. ~ Maja Kjær Jacobsen (Denmark): Fiddle and song (also known from the Québécois/Danish duo Maja & David). Weiterführende Links zu "Fru Skagerrak - Same CD"